Rose is the Academic Course Manager and Lecturer for the Bachelor of Community Services within the School of Higher Education. 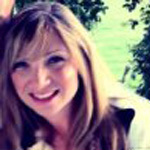 Rose’s teaching experience commenced in 2006 after working in many fields of community service. 2013 provided Rose with the opportunity to work as the senior Educator in San Francisco for 15 months with a community of practice that assisted persons with psychological and physiological issues. During that time she implemented and guided psychology interns to successfully create two community initiatives that included youth and elderly members from the Oakland community. Rose is committed to connecting students to the meaning of purposeful work across all fields of practice within community service and introducing them to the many inspiring leaders within our community services sector. Qualifications from Certificate 111 – Diploma – including other certified training. Julie commenced at BHI in 2013 as a sessional lecturer whilst teaching in a thriving preschool. After enjoying 30 years in the early childhood industry, Julie decided to pass the baton and focus on teaching the next generation of early childhood teachers, inspiring them to strive for excellence in the field. In 2014, Julie assisted in setting up the newly accredited Graduate Diploma of Early Childhood Teaching, adding to our early childhood course offerings. This year, Julie has re-written the Bachelor of Early Childhood Education for reaccreditation with the Tertiary Education Quality Standards Agency and the Australian Children’s Education and Care Quality Authority. 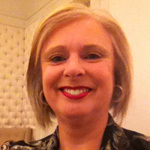 Over the years Julie has taken an active role in consultation groups to advise government, education and industry, including: national children’s services regulations; national early years curriculum frameworks; assessment and rating processes; and essential industry knowledge and skill content for inclusion when developing early childhood degrees. 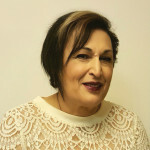 Vicki Gazis has worked in Early Childhood, Research development (Psychology Thesis), Adult Education. 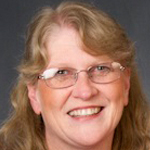 Elizabeth Corridore has worked in the early childhood education sector for many years. More recently qualifying as a Primary School Teacher and gaining dual registration with the Victorian Institute of Teaching, Elizabeth has extensive experience in kindergartens, primary schools, long day care services and out of school hours programs. Equity in education is a firmly held value, resulting in a personal and professional desire to share and create knowledge around this topic with others. Currently teaching in higher education, primary schools and kindergartens, Elizabeth continues to critically reflect on best practice in education settings of all types. Kerry’s involvement in the Early Childhood industry has ranged from preschool teaching to delivering quality education to undergraduate and post graduate teachers. Her past experience as Department Manager, Early Childhood, has assisted Kerry to develop broad yet in depth experience with all related qualifications and training for the sector. Kerry has experience in designing and delivering early childhood programs for overseas organisations, including working with qualified teachers in the Pacific region to upskill existing knowledge, practice, and qualifications. 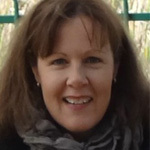 Kerry’s experience in many Early Childhood education environments in Asia Pacific, Americas, UK, and Europe, brings to her work a global perspective on early childhood education and care. Kerry is excited to be back at BHI teaching in Early Childhood Education. Her passion is to ensure we are able to deliver quality teaching and support to our early childhood teachers, assisting in a better early childhood education environment for all young children.